Join one of our expert guides on this hiking trip to the summit of Scheffauer. 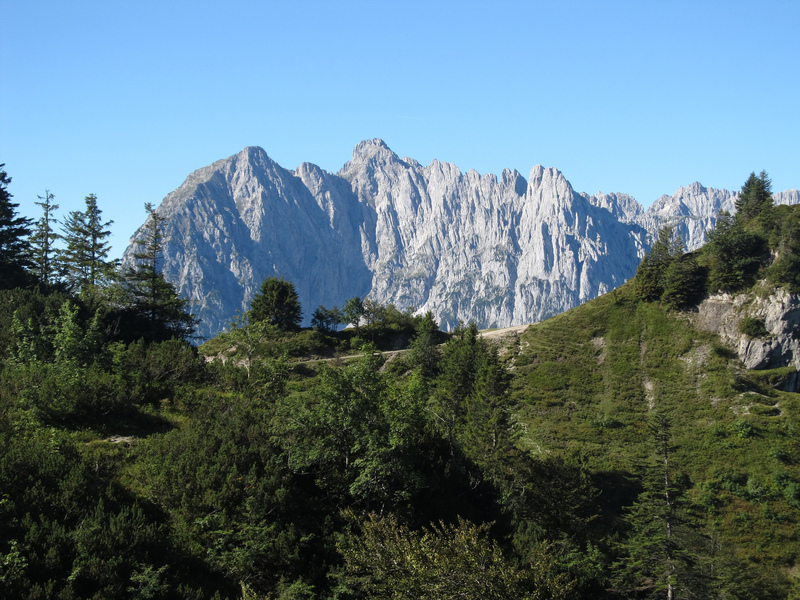 Explore the incredible Wilder Kaiser, and enjoy its hypnotizing views. Reach the summit of Scheffauer with an expert guide. Enjoy breathtaking views of the Wilder Kaiser. Discover a fantastic place in Austria. Scheffauer is one of the highest summits in the Wilder Kaiser. This impressive peak rises at 2.111 meters above sea level. And it offers unrivalled views of the Inntal valley and the Kitzbühel Alps. On a clear day, we could even enjoy views as far as Bavaria. Towering over the town of Scheffau, the summit of the majestic Scheffauer peak is a marvellous place. On this day adventure to is top, we’ll begin by hiking across a mesmerizing forest road, following the signs for Steiner-Hochalm or Scheffauer. After about a half an hour trek, we’ll reach the Steiner-Hochalm mountain hut. This enchanting hut stands at 1,257 meters, and from here we will enjoy fantastic sceneries of the Wilder Kaiser. Thereon, we’ll hike uphill following a narrow path that crosses open meadows and a forest until we reach the Scheffauer turnoff. Here, the terrain gets more demanding. It will lead us across steep areas of mountain pine and rocky sections before you arrive to the ridge. Then, we’ll encounter the key part, also known as Wasserloch, which is secured with steel rope. Finally, we will continue along the summit ridge through the Kegelbahn, until we stand at the top! Once we take in the hypnotizing vistas from the top, we can descend through the same route. 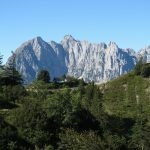 Or, we can choose a descent on the north side near the Kaindlhütte mountain hut (1,318 m.), along the Widauersteig path, and through the Walleralm Alpine pasture. But no matter the option we choose, it will be an unforgettable adventure. If you want to live this incredible experience, don’t hesitate and request to book this trip! You can slo check this Kitzbüheler Horn via ferrata from St Johann (Tyrol), if you wish to keep exploring the country.